I’m trying to tell my inner CA winemaker to shut up. It’s raining and it’s going to be raining for 5 days. Then we have 3 days of warm and sun and then more rain. Do I pick everything in the window or do I hold out that we might get an Indian Summer mid October. Such is the life of an East Coast winemaker. We, like the folks on the west coast have a general guarantee of weather. Usually it will be less than ideal for harvesting so we all turn into gamblers. Some pick early, some pick later but we all get to compare results at the end which is what makes it fun. This summer has been amazing for the vinifera grapes. The severe drought has made berry sizes almost 25% smaller which should make for very concentrated flavor however acids have been dropping rapidly. I’m off to cruise through the Riesling and some of the Cab Franc this morning. Hopefully they will hold up through the next few days of rain in order to fully realize the gift that nature has given us as a vintage this year. Here we are again. Standing at the exciting start of another vintage. It is the beginning of spring and while my friends in California are already well underway with budbreak, in the Finger Lakes, we are slowly emerging from one of the mildest winters in recent memory. Even though the winter was largely mild, that did not mean it was without challenges. After an almost 70 degree Christmas Eve, the temperatures plunged to below freezing rapidly in a 24 hour period. There was also one weekend in January where the temperatures plummeted as the Polar Vortex swooped in. Many areas of the growing region reported temperatures well below zero with some dropping to 10 below, right to the edge of some Vinifera varieties’ cold hardiness. 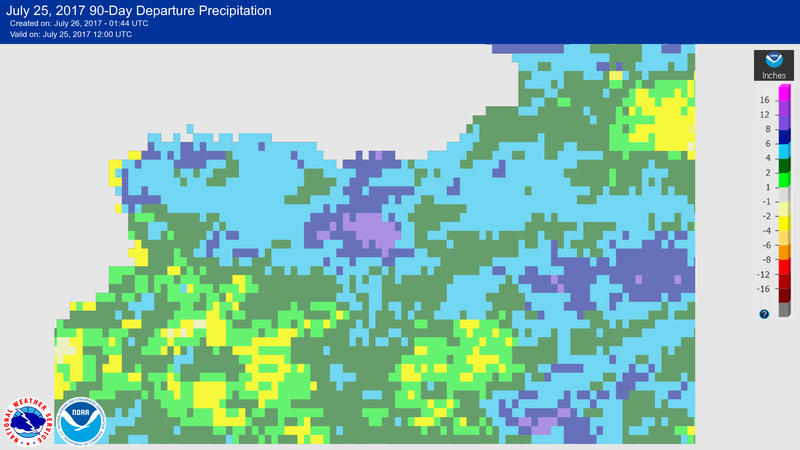 This issue was compounded by the fact that we received very little snow this winter. The snow can offer insulating properties for the trunk and graft union of the vines when it remains for the season. There was only one significant snowfall the entire winter. It remains to be seen how these singular but compounding events will affect the crop. Initial estimates have come in from 10% to 50% loss so it is likely that it will, once again, depend on individual site location. 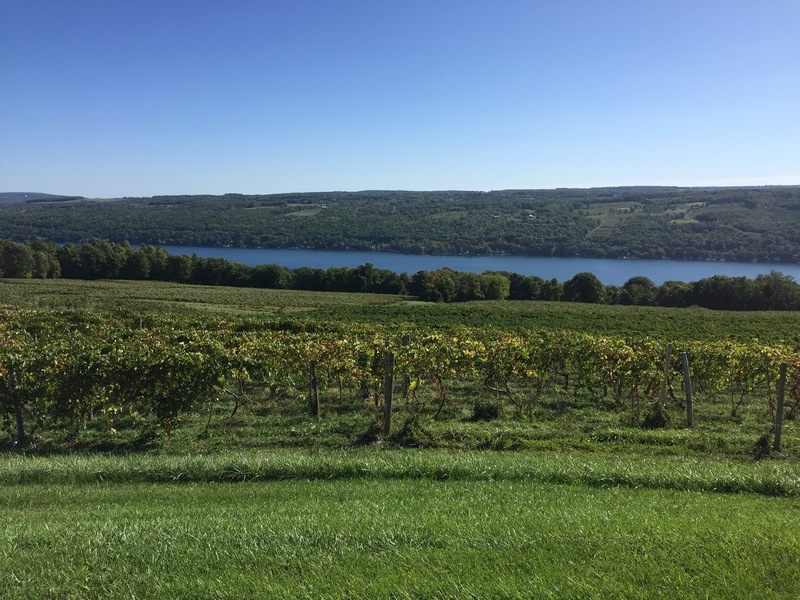 Seneca and Cayuga Lakes, the two largest and deepest lakes of the Finger Lakes, didn’t even think about freezing this year which should help vineyards that were close to these bodies of water. I didn’t achieve my goal of a weather station up on our property last year to record the winter temperatures so I have very little to go on to understand how our site would have been affected. There is talk of an early budbreak here since the spring weather has been showing up earlier than normal. This brings the danger of an extended frost season to the area and very few vineyards have invested in the equipment to counteract it. The roar of frost fans, so common in the spring in Napa, does not exist here. This serves as a silent reminder that, even though winter is over, the danger of cold is not. In the winery, we are preparing to bottle the Riesling and the Rose for 240 Days as well as our own Trestle 31 Riesling. The Cabernet Franc is developing in barrels very nicely and I’m encouraged by what I see evolving there. Brian and I met with Stuart Pigott, this past week who tasted through all four wines and seemed to like them. Pigott’s write up can be found here on his site, Riesling Global. It’s always nerve racking for me, regardless of how long I’m in the industry, to present my wines, which are in some ways like my children for judgement. I’m glad he understood what we were trying to do. For my part, I am thoroughly enjoying the weather. Spring here consists of cold but sunny days with piercing blue skies with white puffy clouds perfect for identifying hidden pictures with my three year old. I am waiting for all the bulbs that I planted last fall to show their first signs of life and for those two weeks that usually happen in late spring where everything is a verdant green and blooming.